Doorstep Collection: Trash Taxi's Doorstep Collection is an amenity that benefits every resident and solves on-site trash issues. There is absolutely no up-front cost for the property owner or manager. The resident pays a monthly fee for our valet trash service that is scheduled 5-7 days a week. Our uniformed porters are professionally trained and dedicated to pleasing our customers. We use leak proof disposal carts with large wheels to navigate hallways and stairways. Our porters will also maintain and clean the dumpster area as part of our service. Your property retains the curb appeal needed to attract new residents and your current residents have a valuable amenity that’s convenient and saves time. Let our friendly staff assist you with any questions you may have. 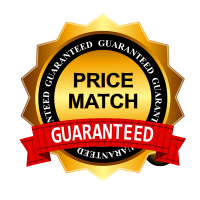 We will match or beat any or out competitor's prices. If you have questions or for more information, navigate to the contact page.